← Got it! Eureka! 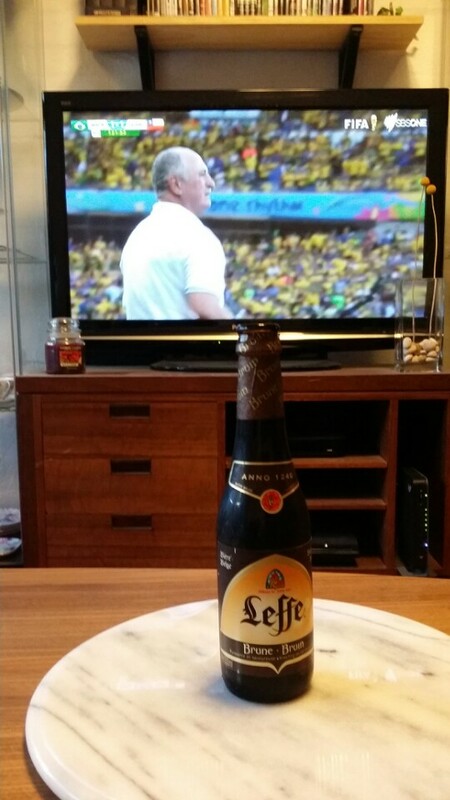 Also, World Cup beers! The World Cup Beers, and 87,258 words. So, I didn’t really do any writing yet today. I could give fancy reasons, but instead I think I’d better just document what I’ve been up to. Brazil VS Chile, & Columbia VS Uruguay. I didn’t necessarily pick the perfect beers for the occasion. Sometimes there’s only a minute or so at the fridge before they start kicking the ball again, and I am not going to miss these things just to make the perfect beverage selection. 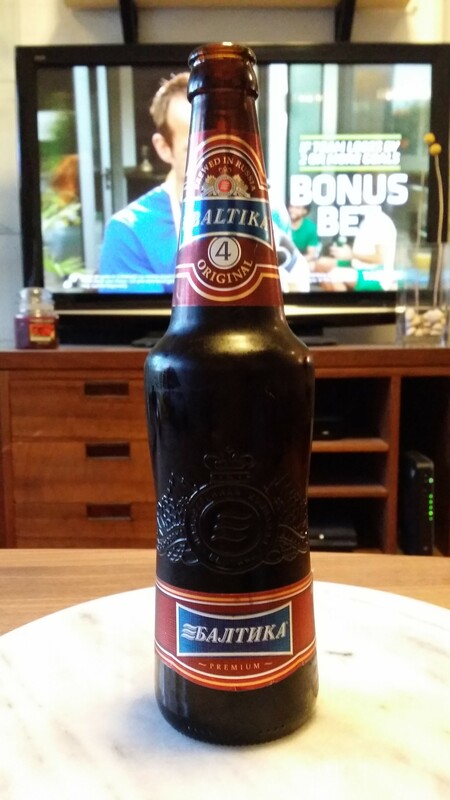 From Mother Russia: Baltica’s #4, a Dark beer with a slight taste of treacle (I guess that’s the malt?). 500ml, so there’s plenty of it. 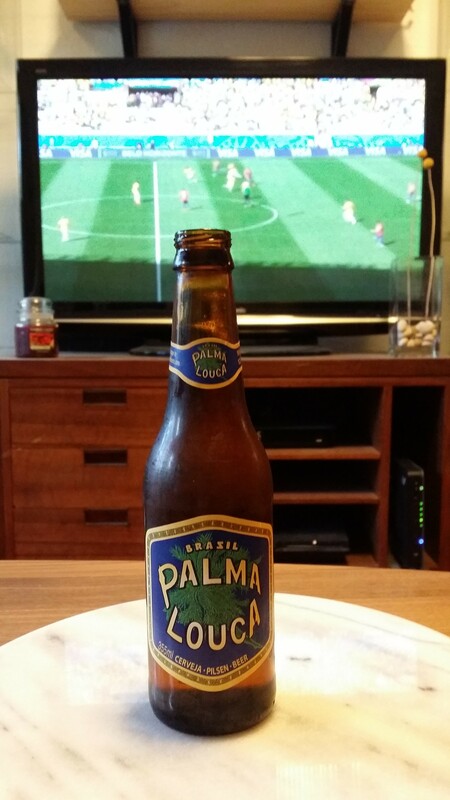 From our host, Brazil: Palma Louca, cerveza beer. Kinda fruity. Better than Corona, but that’s not difficult. Eassssy to drink. From sunny (perhaps?) Belgium: Leffe Belgian brune goodness, also malty treacley thing going on, but hoppier. Tastes very Belgian/Belgish. 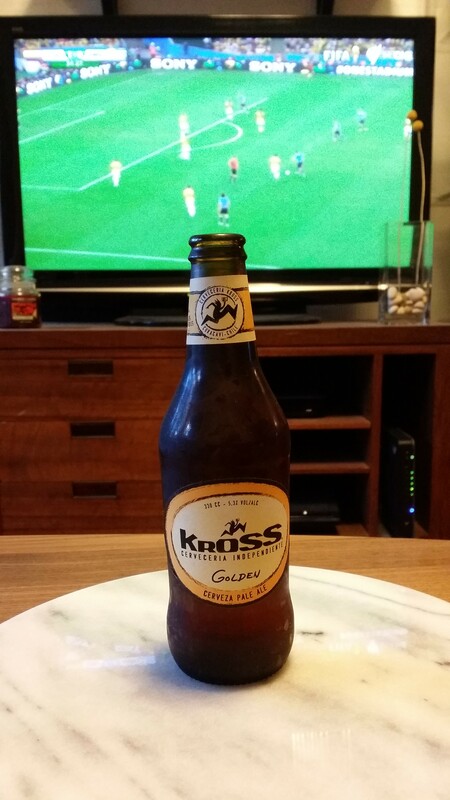 Kross cerveza, from Chile, tastes also betterer than Corona, a bit like it has mango in it or something, which it doesn’t. Like fruity cheesecake. Yeah. 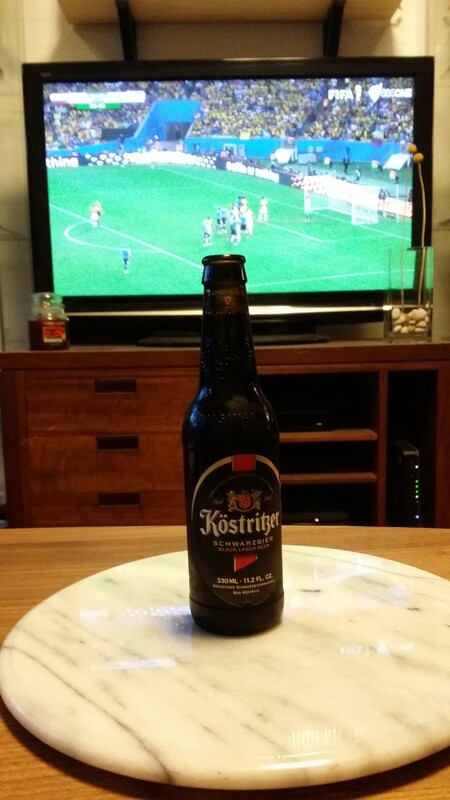 Kostritzer Schwarzbier, a black lager beer from Germany: I’m not gonna lie, (by this point) it just tastes nice. I’ve forgotten the rest at the moment, but I’m pretty sure it will come to me tomorrow. This entry was posted in Writing and tagged baltica, beer, beer review, books, cerveza, ernest hemingway, fiction, kostritzer, Kross, leffe brune, world cup, Writing. Bookmark the permalink. 3 Responses to The World Cup Beers, and 87,258 words. Do have enough Brazilian, Colombian, Dutch, Costa Rican, French, German, Argentinian, and Belgian beers to get you through the quarter finals? Me too. Football as well (watching that is, not playing).